Now in its 14th year, NRMCA's Developing Industry’s Leaders (DIL) program is a premier career development tool. Participants are given the opportunity to advance their leadership skills and network with peers while being mentored by NRMCA’s senior staff. The DIL agenda differs from other leadership programs in that it exposes participants to our industry’s big issues from an all-encompassing, nationwide perspective. Once selected, this year’s cohort group is expected to work over the summer via conference calls and Webinars and are required to attend ConcreteWorks in Dallas, September 28 - October 3. The program will start with a half-day launch workshop where they will also be placed in their small working research team. Over the fall and winter, the team works on their issues further. At the 2018 NRMCA Annual Convention, they will present their findings to NRMCA’s membership. Once done, DILs are expected to make a long-term commitment to move their team’s initiative(s) forward by joining, and attending, the appropriate NRMCA committee meetings twice a year. During their second year, the year’s DIL cohort group re-forms over the summer for a two-day networking and leadership workshop, exclusively developed for them. Finally, DILs may attend NRMCA’s semi-annual Board of Directors meetings to watch senior level executives deliberate and make strategic decisions that impact the industry, both short and long term. Participation in the DIL program is a long-term commitment for a maximum of 24 annually-selected candidates. Applications are due before Thursday, June 15. Click here to access and download the application form. For more information about this program, contact Eileen Dickson at edickson@nrmca.org. 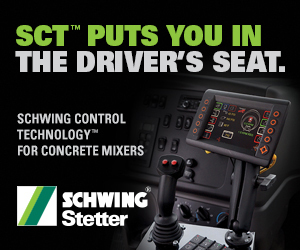 What do doctors, nurses, firemen, retired NFL players and ready mixed concrete drivers all have in common? They were all participants at Cleveland’s Benjamin Franklin Elementary School’s Career Day on May 5. Mark Miller, a 31-year veteran driver and 16-year employee with NRMCA Producer member Tech Ready Mix (shown below with students), and NRMCA Senior Vice President, Local Paving, Julie Buffenbarger spoke with second through fourth grade students on the importance of concrete in structures and concrete mixture ingredients, and also discussed the importance of safety around concrete mixers. 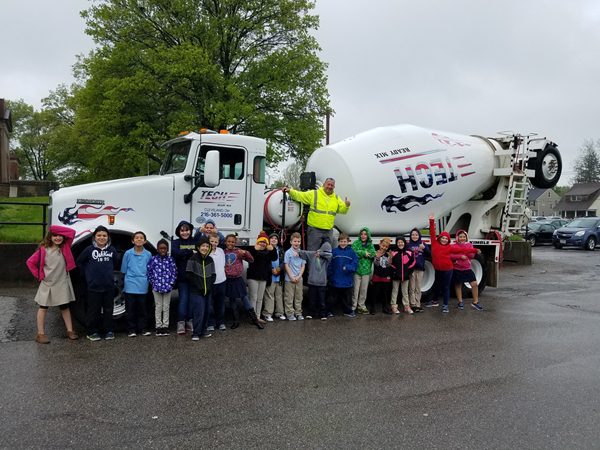 The seven classes of students and teachers weathered the light mist and rain to visit with Miller and learn about driving and the features of Tech’s Kimble mixer truck with a Kenworth chassis. Miller explained the benefits of the Certified Clean Idle and Diesel Exhaust Fluid (DEF) system capabilities and how they lead to cleaner air and environmental friendliness. He and Buffenbarger discussed the importance of wearing personal protective equipment on the job and, more importantly, maintaining proper distances from large equipment. Students returned to the classroom to learn about concrete mixture ingredients and how concrete is part of our daily lives in structures, sidewalks, pavements, homes and bridges. They were then given a variety of word search and maze puzzles on concrete to take home. For more information about safety programs and educational materials for children, contact Julie Buffenbarger at jbuffenbarger@nrmca.org or any member of the Local Paving Team found here. Media articles on Congress, transportation infrastructure, regulation, taxes and other subjects, each of which relate to the ready mixed concrete industry, are updated each week by NRMCA's Government Affairs staff. To access the most recent compilation of articles for May 8 - 12, 2017, please click here. If you would like to receive this weekly updated link in a separate e-mail, or if you have questions or comments about the roundup, contact NRMCA’s Andrew Tyrrell at atyrrell@nrmca.org. This past Saturday, a five-story, wood-framed retail-apartment complex under construction in Oakland, CA, was destroyed for the second time in a year, raising concerns about the use of combustible construction materials in the low- to mid-rise residential market. The five-alarm fire, which buckled the metal scaffolding around the building and nearly caused a construction crane operating on the site to collapse due to the intensity of the flames, forced the evacuation and displacement of 35 residents in 15 apartments and condominiums in a neighboring building. The blaze comes amidst a string of other spectacular lightweight, wood-framed apartment fires this year – most notably in St. Petersburg, FL; Arlington, VA; College Park, MD; Kansas City, KS; Raleigh, NC; and Maplewood, NJ. There have been dozens over the last few years. 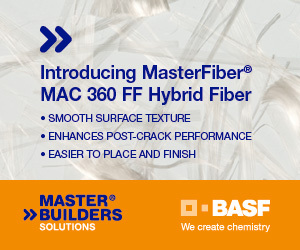 Cities and towns including New York, Chicago, Maitland, FL; and Sandy Springs and Tucker, GA have moved toward preemptively banning the use of combustible materials, such as wood, in this type of construction. Through the Build with Strength initiative, NRMCA has resources to help members and state affiliates advocate for resilient and safer construction, including model legislation, talking points, public relations and other key strategies. To learn more about how NRMCA can assist in state advocacy, please contact NRMCA Vice President of State and Local Government Affairs John Loyer at 703-675-7603 or jloyer@nrmca.org. NRMCA’s Plant Manager Certification class to be held June 13-16 in Bismarck, ND, is now two-thirds full. The next class will not be held until mid-December in Orlando. According to NRMCA’s Industry Data Survey, Operations and Production account for approximately 90+% of producers’ expenses. Therefore, as a producer’s business increases, it is critical that your plant operators are at the top of their game when it comes to efficiency and productivity. Whether your operations staff now manages more plants, is new to plant management and batching, or has unplanned down time, the curriculum intensely covers product knowledge, plant safety, environmental regulations, plant operations and ready mixed industry business principles. It’s a must to support your profit margin. NRMCA’s Commitment to Environmental Excellence Awards competition offers producers national recognition for outstanding contributions to protecting the environment and maintaining sound management practice in their operations. The program salutes companies that have not only met, but surpassed governmental compliance measures and demonstrated a commitment to environmental excellence through plant and staff investment. 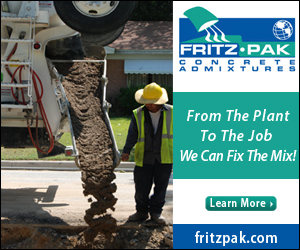 NRMCA member companies producing ready mixed concrete from a fixed plant location in the U.S., its territories or Canada is eligible to enter. Awards will be determined upon individual plant merits. 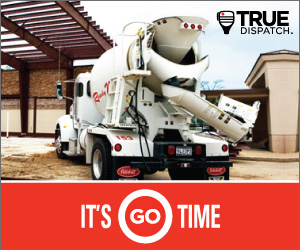 Winning entrants will be honored at the Awards Luncheon at NRMCA‘s ConcreteWorks this October in Dallas and also be featured in a 2017 edition of NRMCA’s Concrete InFocus magazine as well as Concrete Products magazine. Entries and photos must be e-mailed to Gary Mullings at gmullings@nrmca.org by Friday, July 28. Click here for more information, staff contact and to download the entry form.